Welcome to CME on ReachMD! The following activity: Diagnosis and Treatment of Diabetic Macular Edema, is brought to you by the Diabetic Retinopathy Clinical Research Network, sponsored by the National Eye Institute of the National Institutes of Health, and provided by Prova Education. Prior to beginning the activity, please review the faculty disclosure statements as well as the learning objectives. Your host is Dr. Lee Jampol. Diabetic retinopathy is becoming increasingly more common as an obesity epidemic spreads around the world. It’s now the major cause of vision loss for working-age adults. This is CME on ReachMD, and I’m Dr. Lee Jampol. I’ve been the Chair of the DRCR.net for the last 5 years. On today’s program, we’ll discuss the current DRCR.net algorithms for diagnosing and treating diabetic macular edema, a swelling complication of the retina in diabetic retinopathy. We’ll also review the results of the Protocol T study which compared several anti-VEGF agents. My guests are Dr. William Rich and Dr. Jack Wells. Dr. Rich is the Medical Director of Health Policy for the American Academy of Ophthalmology. Dr. Wells is the Chairman of the Department of Ophthalmology at Palmetto Health University of South Carolina Medical Group in Columbia, South Carolina. Doctors, welcome to the program. Thank you, Lee. Looking forward to the discussion. Thank you for having me, Lee. Dr. Rich, let’s begin with you. As a comprehensive ophthalmologist, what do you recommend in terms of initial visits and testing for your diabetic retinopathy patients? Well, let’s start with first contact with a new insulin-dependent diabetic. Assuming they have no retinopathy on that initial visit, they’re counseled about hypertension, hemoglobin A1c, and we recommend that they return in 5 years. If it’s a new patient, recent onset of type 2 diabetes, the same counseling is given, and we see them on a yearly basis in the office. If there is no vision loss that would stimulate an OCT, I just do a comprehensive exam with a detailed examination of the retina at the slit-lamp and with the ophthalmoscope. So Dr. Rich, when do you refer the patient to a retinal specialist, like Dr. Wells? That’s certainly a great question and it’s something that’s changed dramatically over the last 35 years. Following the DRS and the ETDRS, I did most of my PRPs and some focal treatments. However, as our knowledge and our treatment options expanded, especially with the injection of new anti-VEGF agents, I rarely performed a PRP or a focal treatment for the past 25 years. If there is a change in the patient’s status require treatment, as soon as I see that change, I refer them to a retina specialist like Jack. So, Dr. Wells, from your vantage point receiving the referral, what are your first priorities for ensuring the best handoff and continuation of care? Well, I really have two priorities. The first is to communicate with the primary care physician or the endocrinologist, or whoever is managing the patient’s diabetes, and inform them the patient has diabetic retinopathy, it needs treatment, and that part of that treatment is to optimize control of the patient’s blood sugar, their blood pressure, their lipids, and their kidney function. And then the second priority is to communicate with the referring eye care provider, whether it’s a general ophthalmologist or the optometrist, and make sure that the patient continues regular follow up with that primary eye care provider, particularly if the patient has co-existing ocular conditions such as cataract or glaucoma that need regular follow up. We also want to make sure that the patient doesn’t neglect going back to their regular eye care provider for those problems. So, Dr. Wells, can you explain to us exactly what the DRCR.net is? Lee, the DRCR is a nationwide network of retina specialists dedicated to performing multi-center clinical trials to improve our understanding and treatment of diabetic retinopathy which is the leading cause of legal blindness in the working-age population in this country. Founded in 2002, the network currently includes 139 retina practices and over 400 participating retina specialists in the U.S. and in Canada. The DRCR is funded by the NEI and has conducted 26 clinical trials, 20 of which are completed and 6 of which are ongoing. Many of these studies have altered the treatment paradigms to diabetic retinopathy. Recently the network has expanded its scope to include all retinal diseases including age-related macular degeneration, for instance, which is the leading cause of legal blindness in patients over the age of 65 in the United States. So shifting to treatment strategies for diabetic retinopathy, what guides your decision for selecting steroids or lasers or anti-VEGF? Well, ocular treatment has shifted from focal grid laser which was the only effective treatment for over two decades, to regular periodic intravitreous injections of agents that inhibit vascular endothelial growth factor, or VEGF, which is the protein that promotes vascular leakage in diabetic macular edema. The DRCR Protocol I showed that monthly injections at the onset followed by tapering injections of the VEGF inhibitor Lucentis with either prompt laser or laser that was deferred for six months, was superior to laser alone, and also superior to laser combined with steroid injections. Deferring laser for six months in the Lucentis group seemed to give better long-term outcomes than applying laser at the beginning of treatment. By deferring laser, over half of Lucentis-treated eyes never required a laser treatment over the 5-year study. So anti-VEGF therapy is now the primary treatment for diabetic macular edema. Why don’t you give us some background on the three agents, Eylea, Lucentis and Avastin? When a patient presents with diabetic macular edema we initiate monthly anti-VEGF injections and while the treatment schedules can vary, the DRCR uses a specific treatment algorithm that’s been proven effective in our trials. Six-monthly injections are given unless the vision normalizes or the diabetic macular edema resolves, and then laser is given at six months if there is persistent edema. While steroids are frequently added in clinical practice for eyes that don’t respond to anti-VEGF therapy, the DRCR recently published a study that showed continuing monthly Lucentis injections in eyes with persistent diabetic macular edema was equivalent to a combination of monthly Lucentis plus steroids, given every 12 weeks. So there was no additional benefit of adding steroids to monthly Lucentis injections in that study. Plus, in Protocol I, the laser plus steroid group was actually inferior to Lucentis except in pseudophakic eyes trials. So, given the frequent side effect of steroid-induced glaucoma, the role of steroids really remains murky at this time. Okay. So did you find, in Protocol T that the three anti-VEGF agents were interchangeable? And if not, what dictates which one should be used? The most important result of Protocol T was that all three agents were effective in improving vision. However, the one important difference that was based on a preplanned subgroup analysis of eyes with 20/32 to 20/40 vision at baseline, versus eyes with 20/50 or worse vision at baseline. In the better-baseline-vision subgroup, all three agents were equally effective over two years with all groups gaining a mean of seven to eight letters at one year that was sustained through year two. In the worse-baseline-vision subgroup, Eylea, was superior to Lucentis and Avastin at one year. Eyes in the Eylea group gained 19 letters versus 14 and 12 letters in the Lucentis and Avastin groups. At the two-year timepoint, the Eylea group had gained 18 letters versus 16 in the Lucentis group and versus 13 letters in the Avastin group. So while there was no difference between Eylea and Lucentis at the two-year endpoint, an area under the curve analysis showed that over the course of the two-year study, Eylea was superior to Lucentis and Avastin. So Eylea is the agent of choice in eyes with 20/50 or worse vision at presentation. So how many anti-VEGF agents do we need in year one and subsequent years? Lee, all three groups received a median of nine to ten injections in the first year and then five to six injections in the second year, for a total of 15 to 16 injections over the course of the two years of the study. In Protocol I we saw a similar number of injections, 10 to 12 with Lucentis in the first two years, but in years three, four, and five with Protocol I, the need for treatment was zero to two injections. So one thing that we’ve noticed about treatment of DME, with these anti-VEGF agents, is that unlike AMD, after two years the need for treatment essentially goes away. While Avastin is the cheapest and is equally effective in eyes with better baseline vision, it does not reduce the edema as effectively as Eylea and Lucentis. Eyes treated with Avastin have about 50% less reduction in edema, regardless of baseline vision, compared to the other two. There is also evidence that in eyes with better baseline vision and an OCT thickness more than 400 microns at baseline, that you don’t get as much improvement in vision with Avastin. So in these eyes, and in eyes with worse baseline vision, Avastin is not the best choice, but it is still an effective choice. So what are the most important systemic risks for this treatment? So with any anti-VEGF therapy, one of the major concerns is risk of stroke and heart attack. In Protocol T, the rates of heart attack and stroke were less than 5% in all three groups, so it’s not a huge problem, and there was no difference in those rates between the three agents. And if a patient doesn’t respond to anti-VEGF, can you give us some idea of what the next step is? If I have a patient who is not responding to anti-VEGF therapy, I don’t give up too quickly. We have shown in several of our analyses that 40% of eyes have persistent edema after six months of therapy, but if you continue to treat the edema, it will often resolve with time. And given the fact that the results of Protocol U which showed that combining, or adding steroids after six injections, did not result in additional visual benefit, I rarely switch agents before one year. I generally do not start with Avastin. I start with either Lucentis or Eylea, depending on the baseline vision, and so I rarely switch anti-VEGF agents. But if I have a patient with persistent edema after one year I will consider steroids or, in that first year if the vision is worsening or the edema is worsening despite anti-VEGF therapy, I might consider switching to steroids earlier. Thank you. In closing, let’s go back to Dr. Rich. So you’ve heard Dr. Wells summarize for us the results. Why is it important for the comprehensive ophthalmologist to know about the DRCR.net and about these and other clinical trials and others? Well Lee, that’s a great question. And in order to move the needle on population health and decrease morbidity and blindness from diabetic retinopathy, you need good science and the DRCR.net has provided that good science. Then you need good educational efforts, the dissemination of those studies. However, if you look at Beth McGlynn’s seminal article in the New England Journal in 2003, the rate of adoption of recommendations is less than 50%. Of all specialties, ophthalmology does the best. So we just don’t need good science and good education, we have to find a way of spreading the knowledge gained from these great trials. What we’ve found is there’s a great gap in care. I wear another hat. I am Chair of the Iris Registry Executive Committee, and IRIS is now the world’s largest clinical registry and database. So we went and looked at our treatment-naive patients in the first year of diagnosis of diabetic macular edema. There was a 60% gap in care where patients received no care. Was it lack of knowledge? Was it lack of science? No. Was it lack of education? No. There was a lack, a failure to implement therapy. And that’s really the power of a registry. We’re able to now measure on a monthly basis those general ophthalmologists and optometrists in our employ to look at their performance on patients. If they have a gap in care they are notified, and we then forward recommended materials to bring to their attention the results of the of the DRCR.net studies. Actually, you can then see improved performance up to two years later. So again, I think that’s the biggest challenge. We have to continue good science, good educational efforts that we’re trying to do today, but the real, real issue is implementing and getting change in the delivery of care if we want to improve outcomes. And that’s why the registry is going to be such a great tool for improving our patients’ vision. I want to thank our two guests today for great summaries. You’ve heard today about the breakthroughs with anti-VEGF treatment, about when they should be used, about comparative effectiveness of the three that are being used, and we hope that the institution by comprehensive ophthalmologists and retinal specialists of these guidelines will result in diminishing problems with diabetic retinopathy. 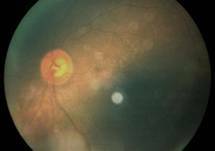 This CME activity on ReachMD was brought to you by the Diabetic Retinopathy Clinical Research Network, sponsored by the National Eye Institute of the National Institutes of Health, and provided by Prova Education. 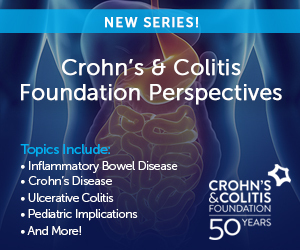 To receive your free CME credit, visit ReachMD.com/Prova. The experts in this panel discuss breakthroughs in anti-VEGF treatments, as well as effectiveness of new therapies and guidelines. Diabetic retinopathy is becoming increasingly more common as an obesity epidemic spreads around the world. It’s now the major cause of vision loss for working-age adults. 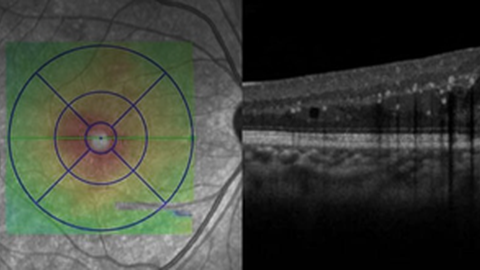 This activity will discuss the current DRCR.net algorithms for diagnosing and treating diabetic macular edema as well as the results of the Protocol T study which compared several anti-VEGF agents. Dr. Rich has nothing to disclose. Dr. Wells receives consulting fees from Iconic Therapeutics. Dr. Jampol receives consulting fees from Apellis, Quintiles/Stem Cell Organization, and Sanofi. This activity is designed to meet the educational needs of Retinal Specialists, General Ophthalmologists, Ophthalmology Nurse Practitioners, Ophthalmology Physician Assistants, and Optometrists. This activity has been planned and implemented in accordance with the accreditation requirements and policies of the Accreditation Council for Continuing Medical Education through the joint providership of The Omnia-Prova Education Collaborative (TOPEC) and the Diabetic Retinopathy Clinical Research Network. TOPEC is accredited by the ACCME to provide continuing medical education for physicians.